The immediate past Moderator of the Presbyterian Church of Ghana, Rev. 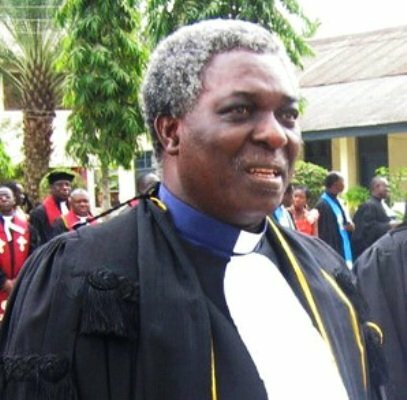 Dr. Yaw Frimpong Manso has quit the church. His resignation is due to what he described as gross disrespect to his person and ministry. Rev. Dr. Frimpong Manso’s decision follows a resolution by the leadership of the Presby Church Ghana (PCG) to severe their relationship with pro-homosexual Presbyterian Church, United States of America. The Moderator of the Presby Church Ghana, Rt. Rev. Prof. Emmanuel Martey wrote to his predecessor who has been sent to Virginia on assignment asking him to return to Ghana latest by December 31, 2015. He cited among other things, the Presbyterian Church USA’s approval to ordain gay pastors, elders and deacons is unbiblical and described it as ‘demonic’. But the Church that Rev. Dr. Yaw Frimpong Manso heads in New York is just a branch of the Presbyterian Church of Ghana, and is not directly affiliated to the Presby Churhc in the US. The congregation is made up of Ghanaians, and their heads are appointed from Ghana, not the Presbyterian Church of the US. Rev. Dr. Yaw Frimpong Manso in an interview with Adom News said the General Assembly did not accord him the needed respect before taking the decision to recall him from the USA. “I was not given a hearing before they took the decision to recall me. I think it is disrespectful to my person and ministry,” he said. “Nobody spoke to me to find out what is going on. My appointment to the US was confirmed by a letter from the Session Clerk after a discussion. Thanks be to God, the work i was sent to do has been blessed, and the congregation has given me an extention of my appointment. “I have served the Presbyterian church all this while, and I believe there should have been a discussion before such a decision is taken. In order not to be the torn in the body of the church, the former Moderator has chosen to stay with the Presby Church of Ghana branch in the USA. “I cannot serve two masters so I will stay here, do the work of God and win more souls for Christ” he added. In view of the current misunderstanding of the PCG concerning the extension of my call to the service of the Emmanuel Presbyterian Church through the Presbytery of New York City and the clear understanding of the PNYC of the PC(USA) polity regarding transfer of my membership to the Presbytery and for that matter under their jurisdiction in their letter of September 24, 2015 to you, I have decided with the support of my family to resign from the Ministry of the Presbyterian Church of Ghana with effect from October 31, 2015. I wish you all the best in the LORD. Very Rev. Dr. Yaw Frimpong-Manso.